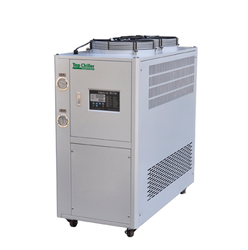 AHATA Blast Chillers are excellent for multi chilling purpose. Our Blast chillers reduce the temperature very quickly & cut the bacterial growth so as to achieve hygiene & increase storage life. Blast Chilling is a methos of cooling food quickly to a low temperature that is relatively safe from bacterial growth.Bacteria multiply fastest between ( 8 dec c to 60 deg c ).By reducing the temperature of food from 70 deg c to 3 deg c within 90-120 mintues,the food is rendered safe for storage & later consumption. This method of processing food is commenly used in catering & in instant foods,as it ensures the safely 7 quality of food product . 'AHATA'Blast chillers are very economical & power saving. These require very little repair.AMC rates are quite low. Since our Blast Chillers are desined to work on tropricallized conditions so performance is much better than others . Automatic & manual defrost system is provided in our Blast Chillers . Automatic Deep Chilling function after cooling process is furnished . 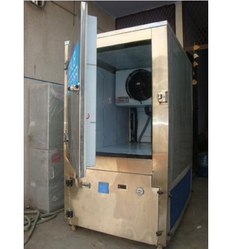 Chamber is made of high quality SS-304 to make 'AHATA' Blast Chillers hygienic for your food . Enriched with vast industrial experience, we offer wide range of Oil Chiller that is acclaimed among the clients for optimum quality and smooth standards. Our entire product range is functionally advanced in nature and is in adherence with set quality policies. They are functionally advanced in nature and are delivered as per the client's requirement. Being the leading names in the industry, we offer functionally advanced range of Blast Freezer Chiller that are acclaimed among the clients for optimum quality and high strength. They are technically advanced in nature and are abrasion resistant. With the assistance of experienced professionals, we are able to deliver world-class range of products. We bring forth our clients, offering an exclusive range of Process Chiller. Our offered product is widely used to prevent head injury and helps to save the life of the rider. Process Chiller is available in different colors, sizes and styles. This product is made available at pocket friendly price to our esteemed customers. 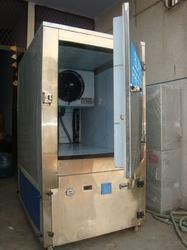 Process Chiller is extensively used to cool any machine or process that operates at 60° F.
Looking for Blast Chiller ?